TOPEKA, Kan. -- During an Appropriations Committee meeting in the Kansas State House of Representatives this past week, Kansas State Representative Virgil Peck stated on the record, "It looks to me that if shooting these immigrating feral hogs works, maybe we have found a solution to our illegal immigration problem." 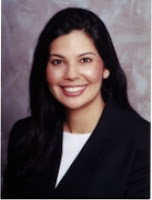 Hispanic National Bar Association President Diana S. Sen condemned Peck's damaging and dangerous statements. "As the national voice for the Hispanic legal community, the HNBA condemns Representative Peck's comments. We are appalled that a sitting Representative would crassly offend, insult and attack our hard working immigrant communities, referring to them as 'wild hogs,' and condoning murder as acceptable conduct." Sen added, "That Mr. Peck would urge such criminal behavior is plainly unacceptable. His hateful and intolerable remarks, and his willful call on U.S. citizens to engage in criminal conduct, poisons, polarizes and damages irreparably the social fabric of our communities. Peck's statements present a clear and present danger to all and have no business in the halls of a state legislature." The HNBA is an incorporated, not-for-profit, national membership organization that represents the interests of the more than 100,000 attorneys, judges, law professors, legal professionals, and law students of Hispanic descent in the United States, its territories and Puerto Rico. For more information about the HNBA, please visit www.hnba.com. First, they came for the Native Indians, but since I am not an Indian, I did not give a damn. - Then they came for the Hispanics, but since I am not Hispanic, I just laughed. Then they came for the Gays, but I am not a Gay. So nothing interesting. Then they came for Abortion Girls and Abortion Doctors, but I have no Uterus. Then they came for the Unions, but since I am not a Unionist, I could not care less. Then they came for the Teachers, Police and Firefighters and I was amused, I am none of them. Then they came for the Democrats, but since I am not a Democrat, I just sighed. Then they came for Ugly people, but since I am very handsome I laughed. Then they came for the Fools and after they took them away Arizona was left empty of people with only cactus and coyotes. Russell Pearce and his band of Republican Fools are and have been completely monothematic, I wish that Jack Nicholson films "someone flew over the cuckoo's nest" in the Madhouse or Foolhouse of Arizona Republicans. They are more ridiculous than "Le cirque du Soleil" ( which I like very much ! ) - That is topmost in Extravagance and Indulgence in Folly.